Is your science startup ready to partner with us? The following is required reading to link to the application form. Please read and scroll to the link at the bottom of this page. If your company does not meet the domain criteria listed above, EvoNexus is still interested! Please click this GENERAL APPLICATION link to proceed for entry into the incubator. Our Performance Materials Add Color to Everyday Life. Through our Performance Materials business, we offer specialty chemicals that enrich people’s lives in many ways. Be it the liquid crystals or OLED materials in the display of your smartphone, the effect pigments in the coating of your car or the high-performance materials that make the microchips in your electronic devices possible, it is likely that you have come into contact with our products today. EMD Performance Materials is the North America high-tech materials business of Merck KGaA, Darmstadt, Germany. Founded in 1668, Merck KGaA, Darmstadt, Germany, is a leading science and technology company in healthcare, life science, and performance materials. Merck KGaA, Darmstadt, Germany, holds the global rights to the Merck” name and brand. The only exceptions are the United States and Canada, where the company operates as EMD Serono, MilliporeSigma and EMD Performance Materials. EvoNexus is Southern California’s leading incubator. With locations in San Diego and Irvine, we empower motivated entrepreneurs to turn their transformative ideas into fundable, commercially viable companies. EvoNexus is supported by corporate investors, including some of the largest multinational corporations in the world. Its companies enjoy class A offices and dry lab spaces provided by California’s leading commercial real estate developer, the Irvine Company. Last year our portfolio companies raised $226 Million. 77% of our portfolio companies successfully raise money while they are in the incubator. Over 175 VC Firms have already invested in our portfolio. EvoNexus brings strong investor relationships and makes quality introductions for its portfolio companies. In only 6 years, 26 of our companies have had successful exits generating over $800 Million. Our 60 industry relevant mentors have successfully started companies, grown companies, and had exits. We bring a strong roster of domain experts to our portfolio companies who have successfully built and sold their businesses. 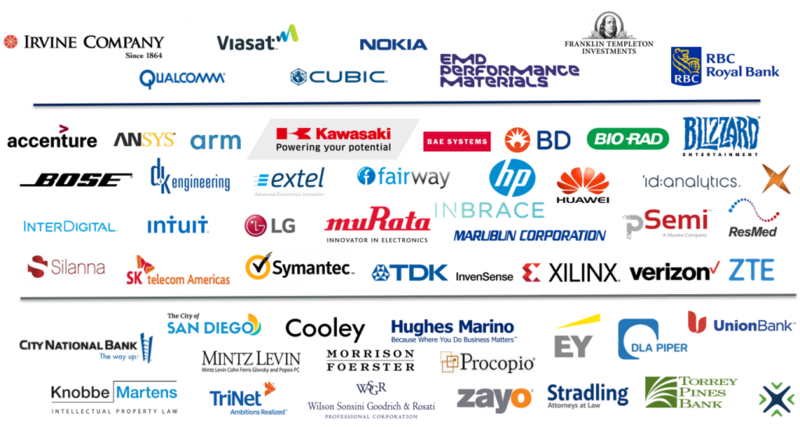 The EvoNexus Board of Directors represent some of the most important companies and firms in Southern California and beyond. Our directors are comprised of executives and founders from companies who are committed to growing the innovation economy through their financial and strategic support of the ventures launched through the EvoNexus incubator program. EvoNexus requires all startups entering the incubator program to only provide 4-5% common shares to the non-profit organization. EvoNexus startups are not charged any fees during their incubation period that can be up to 2 years. We are accepting applications for both Irvine and San Diego locations! EvoNexus is Southern California’s leading incubator with locations in San Diego and Irvine. We empower motivated entrepreneurs to turn their transformative ideas into fundable, commercially viable companies. EvoNexus is supported by corporate investors, including some of the largest multinational corporations in the world. Its companies enjoy class A offices and dry lab spaces provided by California’s leading commercial real estate developer, the Irvine Company. Our 60 domain expert mentors have successfully started companies, grown companies, and had exits. We bring a strong roster of experts to our portfolio companies who have successfully built and sold their businesses. The Application Portal for the EvoNexus Incubator is Always Open. If your company does not fit into the categories listed above, please apply anyway, as EvoNexus is always looking for great companies across all domains!